WASHINGTON (AP) — President Donald Trump is offering a distorted account of John McCain's actions in the Russia investigation and trying to blame the media for making him talk about the late senator, despite plain-as-day evidence that he's assailing McCain without any prodding. On a recent tear against McCain, Trump also claimed credit for steps aimed at improving health care for veterans and denigrated the senator's record on the issue. "McCain didn't get the job done for our great vets," Trump said. "I got it done." TRUMP, asked why he is criticizing a dead senator who can't defend himself: "When they ask me the question, I answer the question. But you people bring it up. I don't bring it up." — Fox Business Network interview, to be broadcast Friday on "Mornings with Maria." THE FACTS: This is false. Trump has been assailing McCain without any prompting by the media. He tweeted Sunday about "last in his class" McCain (who wasn't last in his class), after a tweet Saturday about "stains" on the late senator's record. Trump further claimed in the Fox Business interview "that when I went out yesterday to the scrum, they asked me the question," and that's the only reason he discussed his feelings about McCain. But at that scrum — a gathering of reporters who asked him questions as he was leaving for Ohio — the president didn't answer any questions about McCain, if any were asked in the din. A day earlier, at the start of Trump's meeting with Brazilian President Jair Bolsonaro, a reporter asked about his anti-McCain tweets. TRUMP: "John McCain received a fake and phony dossier. Did you hear about the dossier? It was paid for by Crooked Hillary Clinton. Right? And John McCain got it. He got it. And what did he do? He didn't call me. He turned it over to the FBI, hoping to put me in jeopardy." 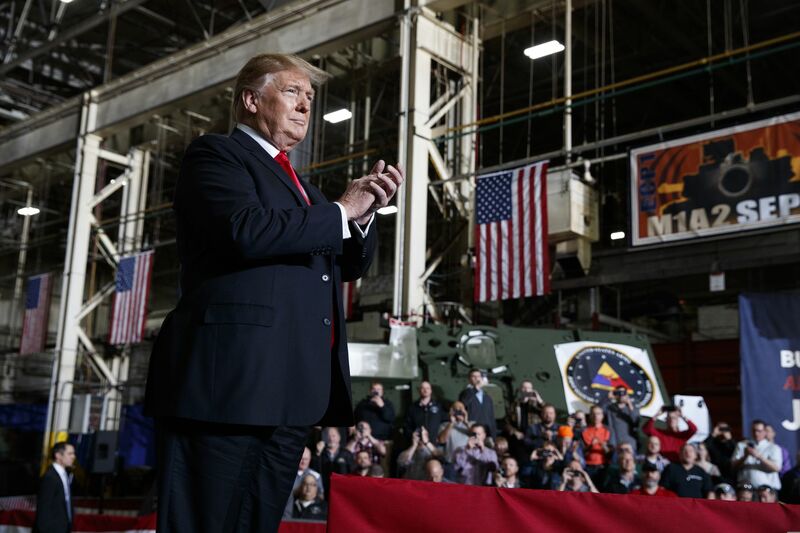 — remarks Wednesday at the Lima, Ohio, tank factory.